The other day I was hanging out with one of my friends and her response to what she wanted for dinner was, “black beans.” Yeah, not so thrilling. That was until we realized we could make black bean burgers, a feat that neither of us really thought we were capable of doing. It always seemed like one of those incredibly difficult things to do, putting together a bunch of non-meat items to create a healthy version of something. Oddly enough, we learned (via a quick Google search) that making black bean burgers was easy. Making a few little tweaks, this is what we came up with. 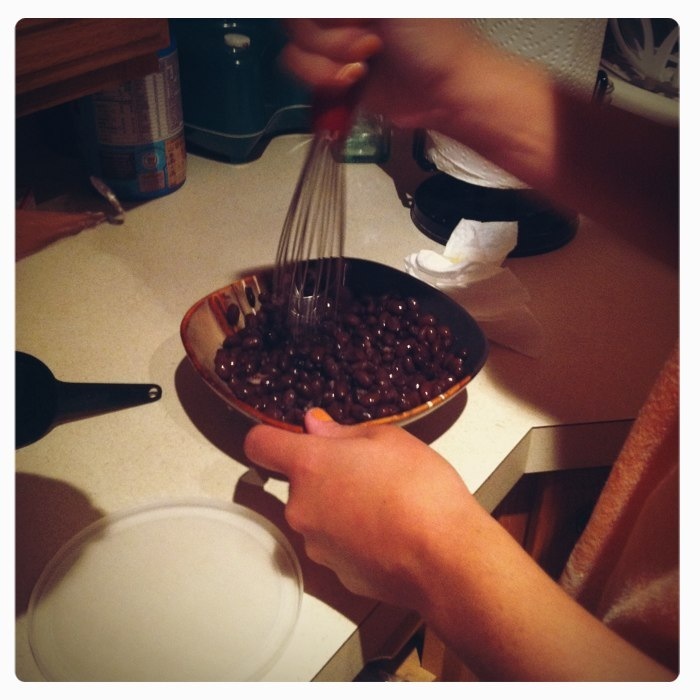 To start, we drained and rinsed the black beans. I then peeled the carrots, continuing to use the peeler to make long strips of the carrot. I then diced that a bit so they weren’t so long. Diced up the half a green pepper and half the onion. Then add the egg. Threw all that in the bowl and then had my friend, Jess, mash up the black beans. 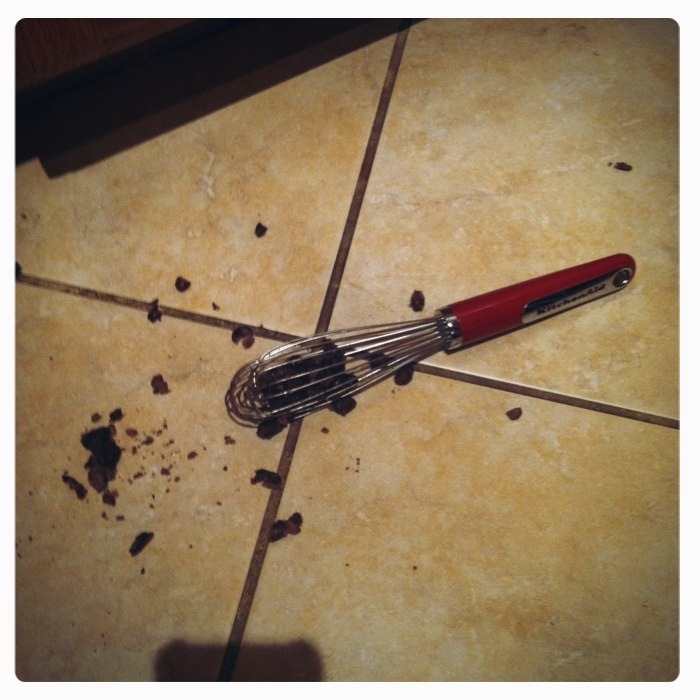 Let’s just say she was pulled off her black bean smashing job. But she was almost done, so we just threw that into the bowl with the bread crumbs and seasonings. Mashed all that up by hand and formed it into patties, then put it into the frying pan with some olive oil. Cooked on both sides for about five minutes a side, or until crispy. I think at this point, we were drooling. I know mine almost didn’t make it to the bun. We ended up making six burgers with all of this, and if our calculations are correct (or nearly close), we think they’re under 100 calories each (before bun, avocado and the tomato). Anyone else who wants to do the math, let me know. I’d be thrilled to have a better estimate. And I might have to make these a few more times. Like a burger, but better! Yum! These look so yummy! I think I will have to try these soon.